This post was made possible by the generous #SmellsCLEAN gift box provided by SCJohnson. All the tips, opinions, and anecdotes are my own. Shhhh.... I am about to share with you my ultimate party tips to make your October party the best one ever! I was raised by a Party Planner extraordinaire. When I was growing up there were not professional party planners, magazines dedicated to the perfect party, or TV shows with tips for the best party. So even though my Mom did not have the assistance of a TV party planning expert or the credentials of a professional party planner, that is what she was. And I marveled at her ability to make a simple idea into a great party. She threw a Halloween party in 1969 that people are still talking about today. Seriously. Unfortunately, perhaps, I was born a Sagittarius and was doomed to be happy go lucky. My Mom on the other hand is a Virgo and is extremely detail oriented. So I did not inherit the Party Planning gene but I still love throwing parties. So over the years I have learned a few shortcuts to making the perfect party. You may have a few nosey guests but that doesn't mean you have to open every nook and cranny of your house to everyone. 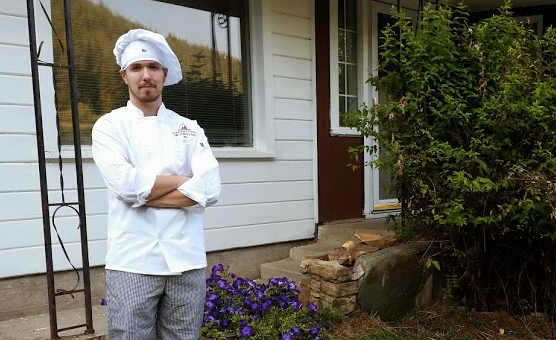 That was a long time ago and my kids are all teenagers plus now and they are really great cooks. But I am not. So, when it comes to our big annual Octoberfest party we always have an answer for every guest who asks the inevitable "Can I bring anything?" The answer is Yes. Yes they can. I provide the polka music and our guests bring food and it works out great. Food is essential if you are serving any adult beverages. So even if you don't cook make sure you have food at your party. Make sure your house smells great. This is the key to a wildly successful party. Four doors in to the house that cannot be propped open beginning in October because it is too cold. In the past I have used one secret weapon to get party ready. We would clean up the party area of the house and invite friends who can cook AND THEN... just before they arrived I would put on a pot of coffee. It didn't matter if our guests drink coffee or if the party was scheduled for 9pm at night I would put on the coffee. Somehow when your kitchen smells like coffee it smells like there is something good going on there. But this year we have a problem with that plan. We have replaced our coffee pot with a Keurig. We love our Keurig but it did put a crimp in my party prep secret weapon. Here is where SCJohnson has come to the rescue. 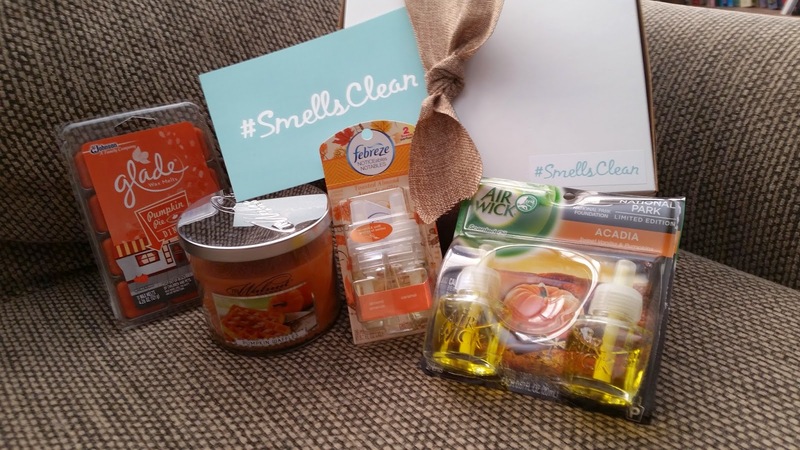 We received a #SmellsClean gift box in the mail this last week and we are back in business. Our house is going to look clean AND Smell Clean. But not only smell clean - it is also going to smell delicious. We have a pumpkin pie candle for the center piece of our extended dining room table which always ends up being the center of activity for our party. The appetizing aromas of cinnamon and nutmeg blend beautifully with creamy notes and a touch of pumpkin pie, inviting you to linger a little longer at the friendly eatery around the corner. This year when our guests arrive they will be greeted by the warm embracing smell of a delicious pumpkin pie. I love when our guests can linger a little longer and just relax and enjoy themselves. Which leads me to the Bonus tip of the day: Enjoy yourself. Plan Prepare and then Party. Join your own party. One of the things I always remember about my Mom's parties was the big smile on her face. She always had fun at her own parties. They might not go exactly as she had planned (but since she is a Virgo and planned for most everything even the mishaps were typically happy accidents resulting in something even more interesting than she had anticipated). Breath deeply of the pumpkin pie spice aroma from the candle warmers, scent plug-ins, or the candle in the middle of your dining room table and just enjoy yourself. The more relaxed you are the more fun your guests will have because they can relax too. Follow the discussion on twitter by following the #SmellsClean hashtag. This is part of a sponsored post but all of my thoughts and party tips are my own. Seriously I haven't really cooked in almost 15 years. love it...'clean your living room and close your closets'...good stuff! That coffee idea is brilliant! We went Keurig, too but I wish I had thought of that when we used a pot.